Post Hill Press, 9781682616512, 384pp. Kathleen J. McInnis has worked in the Pentagon, the UK Parliament, and in think tanks on both sides of the Atlantic. Having earned her PhD in War Studies, she currently analyzes international security and defense issues for the United States Congress. "The Heart of War is lovingly relatable to women everywhere working to make a difference in the larger world, even as they wonder how their own lives will sort out." — Tara Copp, Pentagon Bureau Chief, Military Times & Author, "The Warbird"
"The Heart of War really nails it. Life in the Pentagon is about more than what you read in the newspaper and author Kathleen McInnis takes you on an unforgettable trip into this most unique of worlds." "Part office drama, part foible-filled romp through the US's military bureaucracy... Reilly and her colleagues can be counted on throughout the story to be clueless and brilliant by turns, keeping the plot fun through its many twists. Emotional moments tug on the heartstrings, and the romantic subplot concludes in a very satisfying way. Kathleen McInnis's The Heart of War is an amusing contemporary romance." 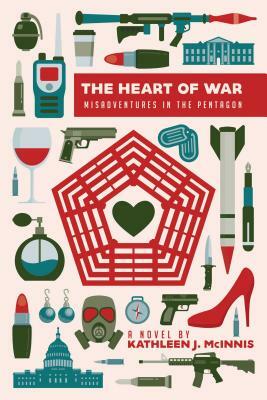 "The Heart of War: Misadventures in the Pentagon is being compared to The Devil Wears Prada, and for good reason. It is truly a fish out of water story, complete with a demanding female boss and a woman who learns to navigate her new world. This book could have only been written by an insider, which Kathleen McInnis is. Reading about the politics and the way this world works was fascinating, and the author writes it perfectly. I felt like I was running around the Pentagon with her."